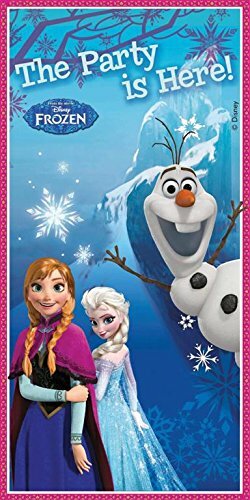 This is such a fun travel set for kids that love Frozen! The kit comes with a bag, headband, and keychain. 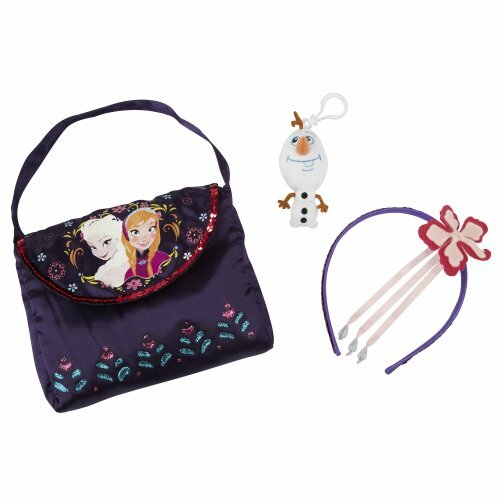 The officially licensed Frozen travel set starts with a pretty purple satiny bag with sequin trim in a Norwegian-style floral motif. 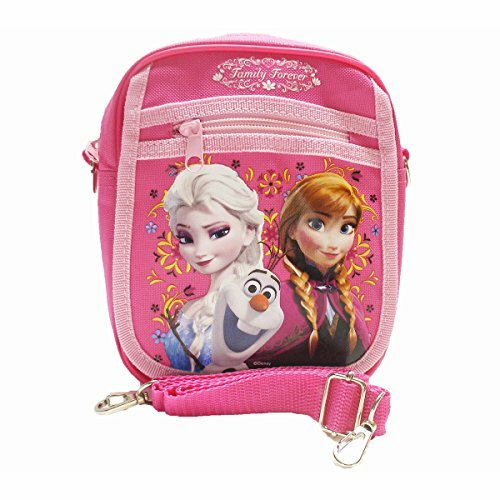 The royal sisters, Princess Anna and Queen Elsa, are featured on the bag's flap. The set also comes with a pretty headband with a flower decoration and pretty dangling ribbons. The set is completed with a unique Olaf keychain. The world of Arendelle may be frosty, but that doesn't mean you can't have Frozen fun next time you visit the beach! Summer fun is Olaf's favorite kind of fun, after all! If you're heading to... Take Frozen to the Beach!